When competition in any industry heats up there are those who rise to the occasion and others who crumble under the pressure. The smartphone industry isn't any different and in 2012, HTC has convincingly decided to stand its ground and ensure its stake in the smartphone market with the HTC One Series. With a subpar end to 2011, HTC was a little bit on the ropes and was looking to bounce back with somewhat of a reinvention of itself in the One Series with a new vision and plan. Here's how we felt the flagship device of this new vision fairs in our review of the HTC One X. With smartphone hardware specs heading to somewhat of a plateau, manufacturer will need to look to other differentiators to set their products apart. Of course this includes the much maligned Custom User Interfaces but HTC seems to have put all of its efforts into the other major differentiator and that is hardware and build quality. If you've read our past reviews you will remember that we believe that HTC is one of the top dogs in the mobile game when it comes to making premium feeling devices and regardless of the lackluster sales figures of the latter half of 2011, they still made premium feeling phones. This thankfully hasn't changed with the HTC One X, in fact we'd go as far as to say the HTC One Series is now the gold standard for smartphone design. While style and looks are always a subjective matter, with people valuing some physical aspects of a smartphone over others, we do feel like there is something to be said about the feel of a device in one's hand, in one's pocket and on one's face. The HTC One X is excels in all three aspects. The premium feeling unibody polycarbonate body, with its matte back and glossy edges, gives off the same aura that a high end luxury motor vehicle would emit. While polycarbonate is simply a fancier plastic it certainly does not have the flex or give that one might be used to with other plastic based phones. Hours upon hours were obviously poured into every detail of the overall design from the micro drilled speaker and earpiece grills to the placement of the dock contacts. It might not please everyone's tastes we feel it does deserve some recognition. HTC has never been a champion of thinness or being lightweight in the past, with many of its phone clocking in to be some of the more thicker and heavier devices we've reviewed. 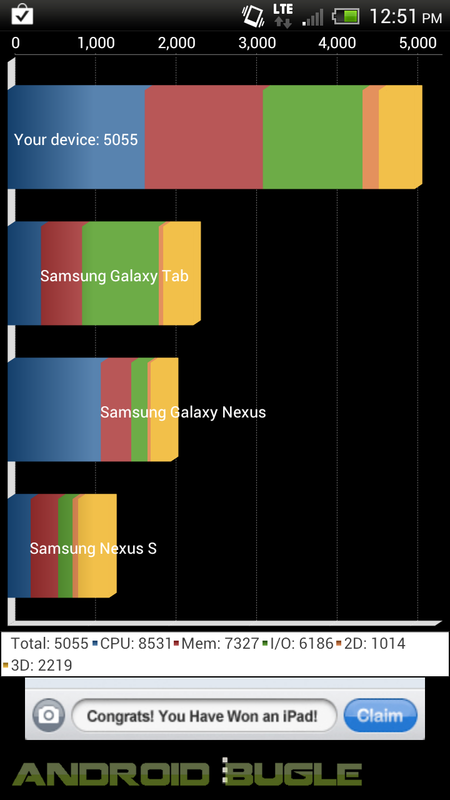 The HTC One X takes a complete 180 from this trend being one of their thinnest and easily their lightest device. This of course would automatically invoke visions and assumptions of cheapness but is certainly not the case as stated earlier. One could even say that we now have the best of both worlds with an ultra light and ultra thin device while feeling premium and solid. Let's put it this way, this is the largest HTC phone we've had the privilege of testing BUT is also easily the most pocketable HTC phone we've reviewed to date. For a device sporting a 4.7 inch display, overall ergonomic of the device, both in hand and on one's face during phone calls, are absolutely phenomenal. From the "infinity" screen's curvature on the edge to the illusion of a curved body by the unibody polycarbonate to the svelte and luxurious matte back the One X is a pleasure to use. That being said 4.7 inches IS CERTAINLY NOT for everyone and we understand this could be a sticking point and deal breaker for many. Another set of possible deal breakers that we have to mention here is that, in its pursuit of thinness and the use of a unibody polycarbonate body, two staples of HTC phones are uncharacteristically missing; the microSD card expansion slot and a user replaceable battery. We'll cover more of these two losses in the internal hardware and battery section of the review. One negative thing we must mention is the fact that the beautiful matte finish of the white One X is prone to getting dirty and even picks up the blue dye of new pairs of jeans. If you love wearing jeans, especially new and tight jeans we recommend getting a case or leather pouch for your One X. If there is any part of the review that is a must read it's this section. 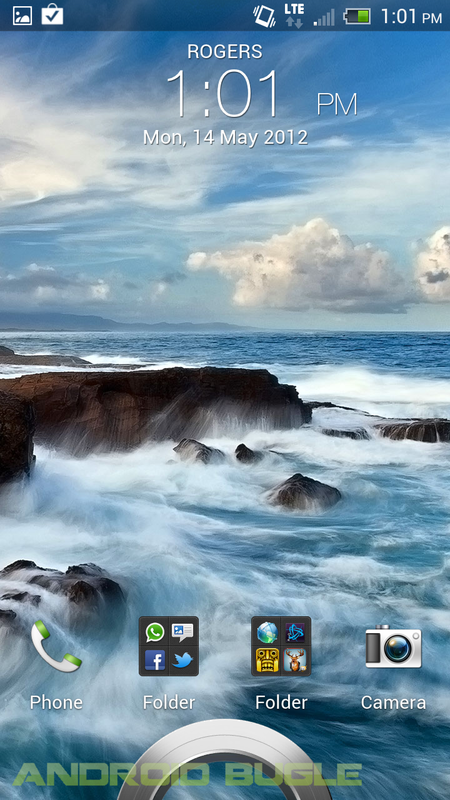 Simply put the HTC One X's screen is the best screen on any smartphone available on the face of this planet. There aren't enough superlatives in the world to describe how amazing the screen on this phone is. If there is any reason to get this phone it is for the infinity display on this device. Colors were bright and vibrant, contrasts was excellent, brightness was top notch (which made outdoor use quite good), viewing angles were mind blowing and black level were as good as we've seen on any LCD screen. Part of what makes the screen so amazing is the fact that the LCD is laminated to the curved gorilla glass. We suspect this to be the main reason for the sensational viewing angles and the good outdoor capabilities as there is almost no glass to distort the light leaving the display. At a mind blowing 720p HD resolution, at 312 PPI, with a true RGB pixel arrangements the One X provides the best multimedia, gaming and reading experience, period. The display is as close to perfect as we've ever seen. 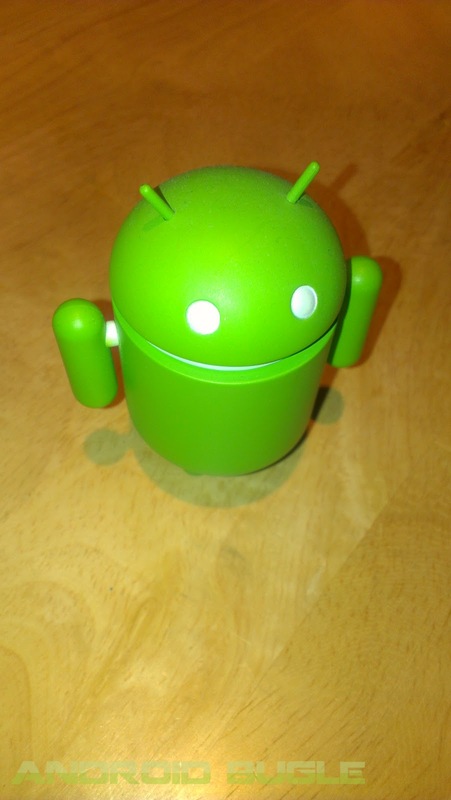 With the introduction of Ice Cream Sandwich it's clear that Google has shifted the button paradigms of Android. 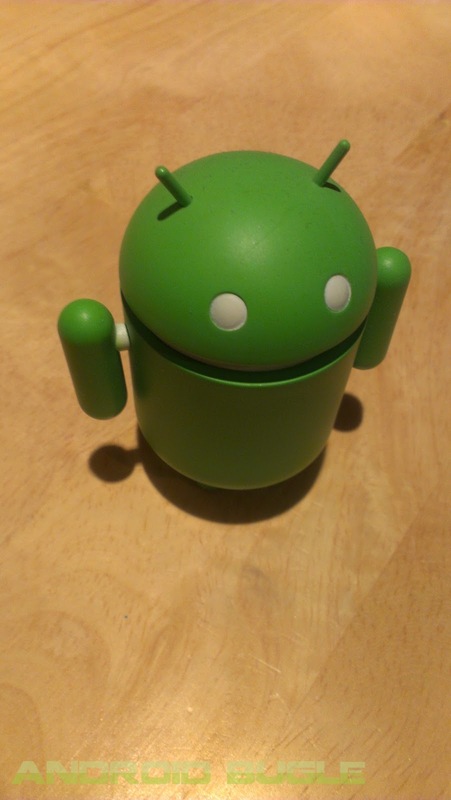 Instead of having to press the contextual menu button found on many legacy Android devices Google hope for developers to make Settings or Hidden Options a UI element in their App design. Of course this means older apps will need to be updated and as of now updated Apps for ICS are more scarce than one might think. This leads to an interesting problem for HTC, as they have followed Google's guidelines to hardware manufacturers and made their buttons the new "Back", "Home" and "Task Switcher" layout but instead of making them software rendered buttons they are the traditional capacitive buttons to reclaim significant pixel real estate lost to software rendered buttons (like on the Galaxy Nexus). 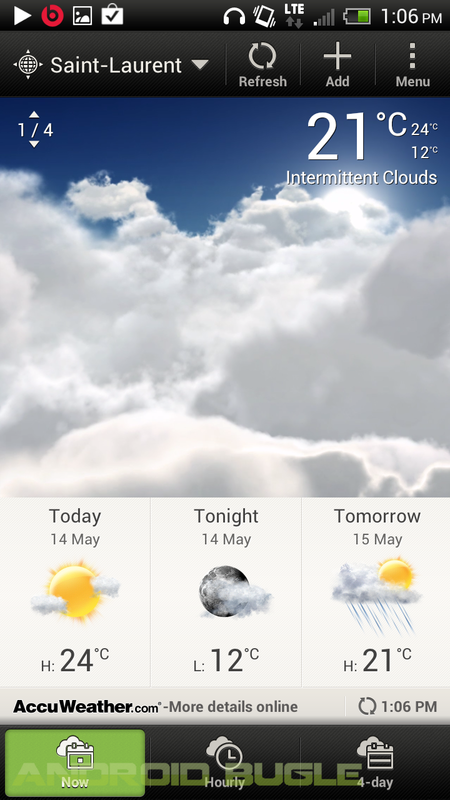 Therein lies the problems with the contextual "Menu" button of older Android versions. 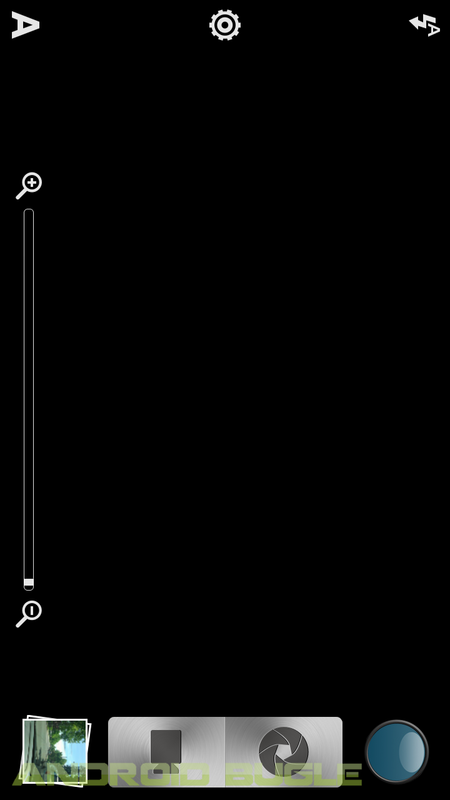 Since many apps still used old context "Menu" button HTC had to re-implement the software rendered buttons on screen and only for the menu key. This feels like a massive waste of space and is a bit unwieldy to press when most of the buttons are under. Fortunately this isn't a deal breaker as more and more apps get updated to ICS+ standards, since it will mean less and less apps will use the contextual menu button and the "software rendered menu" solution from HTC will eventually disappear. If you read our past reviews, you'll know that we aren't huge fans of the side power button as many people aren't used to this configuration. But in the case of the HTC One X (and many other phones with 4.5+ inch screens) we do think there would be a distinct advantage to having the power button on the side but it's unfortunately not the case. This makes the power button on the One X a bit hard to reach for smaller to normal sized hands. We do however think we know why putting the power button on the side wasn't a possibility. If you check out the car dock shown off with the HTC One X at MWC you'll notice that it covers an entire side of the phone making it impossible to access and buttons on that side had there had been any on the left side. In any case it isn't a deal break either but simply means some people will most likely need to use two hands to lock/unlock the One X should they choose this handset and have smaller hands. Overall, on our unit, touch capacitive buttons were very responsive and the hardware power button and volume rocker were solid and gave no issues other than the minor one's stated above. With the HTC One X being a unibody polycarbonate built phone, one major drawback was not having a user replaceable battery. This of course means nothing to the hordes of people who have a smartphone made by a competing platform from a company bearing the name of a fruit, but to the Android faithful not having a removable battery is almost heresy. 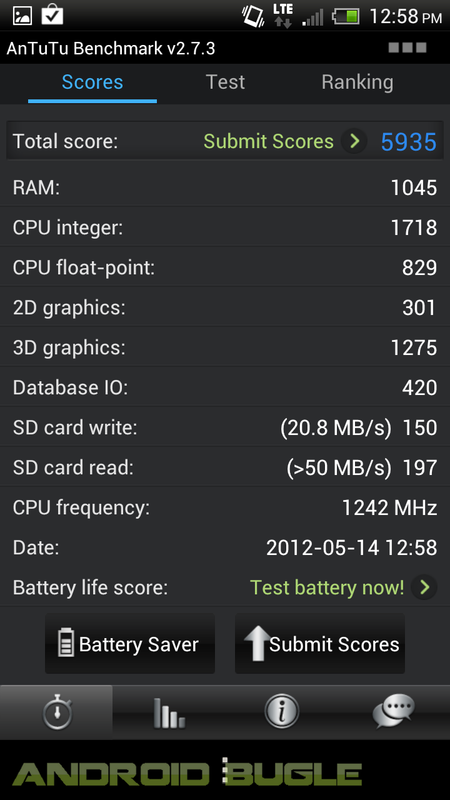 That being said, at 1800mAh, HTC didn't put a HUGE battery in the One X. They basically bet the bank on the new Qualcomm Snapdragon S4 Krait processors (which we talked about in our Tegra 3 vs. Snapdragon S4 Opinion Editorial). That bet paid off big time as the One X had fantastic battery life. What makes this a remarkable feat is that this is probably the first LTE phone that can claim to have great battery life ON TOP of the fact that it's boasting a 4.7 inch 720p display. We easily got through a day with the usual; push notifications, SMS and calls. With medium to light usage we could definitely see the phone lasting a good day and a half to two days on one charge. One thing worth noting, many were sad to see HTC not put a bigger battery in the One X, but with a larger mAh capacity comes a problem, many reviewers who reviewed the Motorola RAZR MAXX in the US found that recharge times on the 3300 mAh battery was insanely long with some reviewers needing 3+ hours to fully recharge the phone. While this isn't surprising as this is something we've seen on tablets but unlike tablets people use their smartphones more often so the downtime could be problematic. 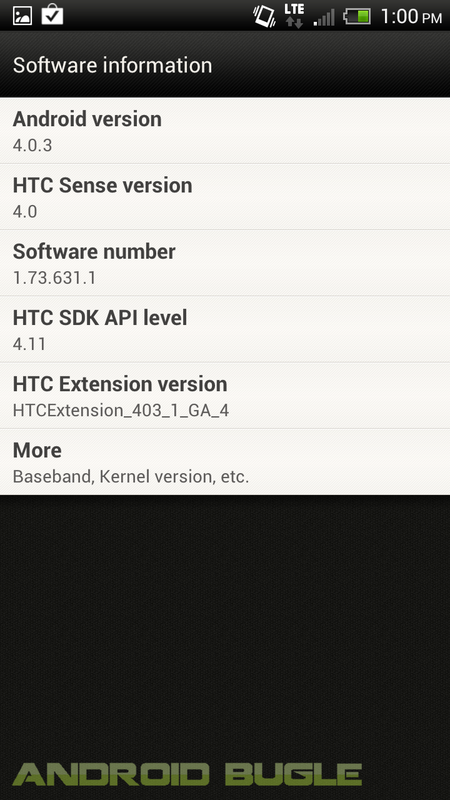 Being the HTC flagship phone of 2012, one expects the specs to be exceptionally good and HTC delivered on every front. Quad Core has been 2012's marketing buzzword so far and HTC of course played it down for the LTE version of the phone but as expected tech media were a frenzy about the fact the North American version was going to be a Dual Core affair. That being said, as we already went over in our Editorial Post, there is nothing that any users, be it enthusiast or regular consumer, can do to distinguish between the performance of a Tegra 3 One X and a Snapdragon S4 One X. The One X is, to put it very bluntly, a screaming fast phone. 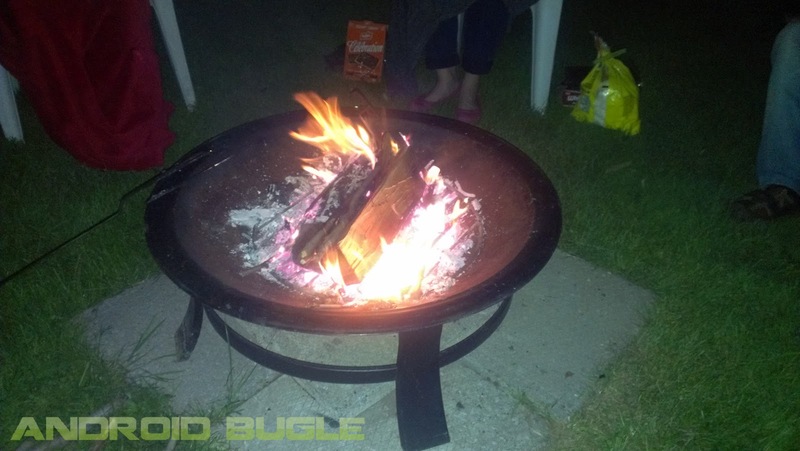 It's faster than anything else we've ever tested here at Android Bugle. We threw everything at it, be it; browsing, gaming, multimedia, multitasking, multitouch gestures were all a buttery smooth experience. One thing we must point out is that the MicroSD card slot is noticeably absent from the One X. This is very unfortunate as it probably will be a deal breaker for many media enthusiasts. Couple that with the fact that the One X only has 16GB of internal storage and several users will definitely be turned off. Fortunately, HTC tried to supplement the lower storage with an interesting solution in the form of 25GB of Dropbox cloud storage. We discuss whether this is an appropriate solution later in the software review. The other glaring difference between the international One X and the North American version is the LTE capabilities of the North American One X. 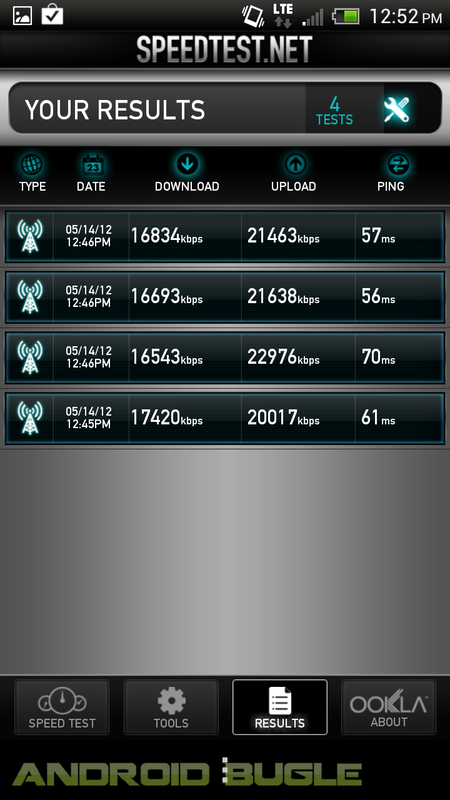 The speeds on the Rogers One X were as good as we've ever seen on an LTE device. Hovering at around 16-20mbps, the 4G LTE speed provided a ridiculously fast browsing experience. We already had a taste of what the Rogers' 4G LTE was capable of in our HTC Raider Review and the speeds continued to impress us in our review of the One X. 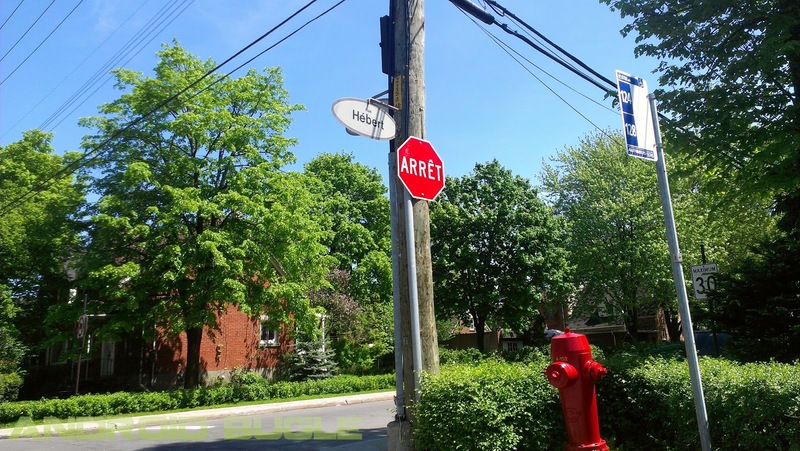 As always we want to remind you that these tests were done in LTE covered areas of Montreal, so your experience may vary. But if you do live on one of Rogers' LTE covered cities the One X is astonishingly fast. A lot of fuss was made about the HTC partnership with Beats and how it would affect HTC products. The HTC One X is the first product from the Taiwanese company to launch in Canada with Beats Audio integration. Now, many audiophiles more knowledgeable than I am will probably tell you that Beats Headphones, while stylish and well constructed, are overpriced for the sound quality they offer. That's not to say that they sound worse than the cheapest headphones but that serious audiophiles probably would be wiser to look elsewhere for their audio needs. That being said, as someone who enjoys music but doesn't take it to the enthusiast level, I really enjoyed the tuning of the Beats Audio equalizer. For more bass heavy music it sounded great, but we recommend turning it off for more vocal songs. The earpiece sounded loud and clear, while the noise cancelling microphone was tuned perfectly to make even the loudest background noise a non-issue. Surprisingly, the external speaker was quite loud and clear for an external speaker and can definitely see this being a major plus for people who often find themselves using it for phone calls. What is unfortunate though is that the North American versions of the One X is completely devoid of any headset whatsoever (Beats Headset and non-Branded HTC Headset). This is quite unfortunate in one way as most would have liked to have at least something to use out of the box, while others will appreciate being able to choose their own headset. Having the tagline "Amazing Camera, Authentic Sound" sort of puts a bit of pressure to deliver in the Camera department and to be blunt we feel like the One X delivered. While other reviews downplayed the quality of the pictures alone to pass judgment on the Camera on the One X, we rather take a step back and examine the Camera experience as a whole. To get the technical aspects out of the way, the One X sports a f2.0 Aperture, Backside Illuminated, 8MP Camera capable of full 1080p HD recording. If we looks purely at camera performance, the One X does pretty well as it produced better still than last generation phones the Galaxy S II and Sensation 4G. That being said considering the amount of hype behind the sensor the still were not as good as we might have hoped. As for the 1080p HD recording it was very good and as expected was a good improvement over last year's Sensation. What really impressed us about the camera was the software. From the Burst shot mode, to the picture taking capabilities while recording video, to the various Instagram-like filters and even the simplified and unified camera and camcorder toggle buttons, the camera software experience on the One X was excellent. Burst shot worked great for capturing movement. Capturing still while recording was also great as the quality was as good as if we were only taking a still. while the filters will certainly please those who like to spice up their pictures. As an overall experience, we loved the camera on the One X, for many people lugging around that older point-and-shoot digital camera, I say leave it at home because the One X has you covered. With the launch of the One Series, HTC completely reevaluated the Sense experience and we feel it's for the better. Since this is our first One Series device we will go more in depth with the software part of the review than with the other One Series phone when we get the chance to review them. When Sense 3.0 was launched on the HTC Sensation and HTC EVO 3D, most felt that the UI was "too much" and simply mucked up the Android experience with a particularly resource heavy UI. While we can't deny that Sense UI 3.0 was quite cumbersome to the hardware overtime, we still feel that HTC intended to woo users with the effects and we are quite sure that it most probably impressed some users (obviously not the Android enthusiast crowd). There are several tweaks to the stock experience as well as several changes from Sense 3.0 that would otherwise take a while to list so we'll try to keep it as concise as possible. The first noticeable tweak is the homescreen. Gone is the ye old arc dock on the bottom with the predominant Apps/Phone/Customize buttons and in is the very Ice Cream Sandwich like dock of icons that can be changed to any shortcut of your choice. These shortcuts also are reflected on to your lockscreen shortcuts that can be quick launched by dragging into the ring. 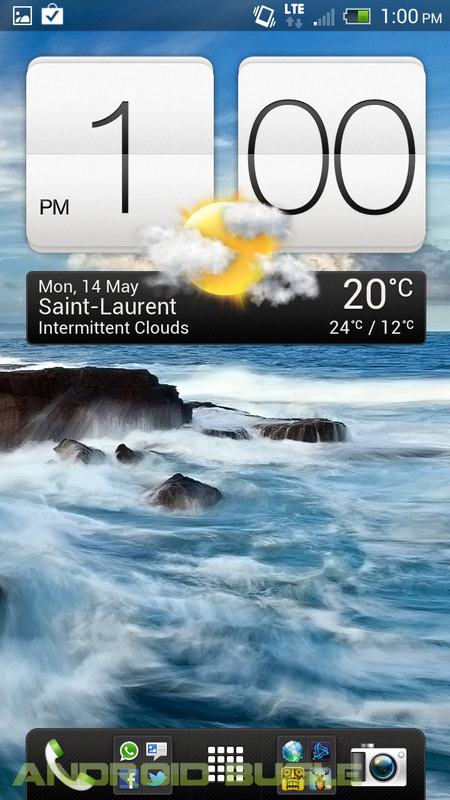 Speaking of the lockscreen, little has changed from the Sense 3.0 to Sense 4.0 lockscreen. We aren't surprised as this was really one of the more beautiful yet useful features of the much maligned Sense 3.0. The main difference is that the dock icons set by the user on the homescreen correspond to the quick shortcuts in the lockscreen. The next most noticeable change is the handling of folders, while Stock Android's implementation of folders was very elegant and intuitive we have to commend HTC for enhancing folders. Not only can they be created on the fly by dragging one icon into another, you can also add icons in bunches with the "+" option and checking off all the apps you want to add. We found this very useful for organizing various games into genres for example. 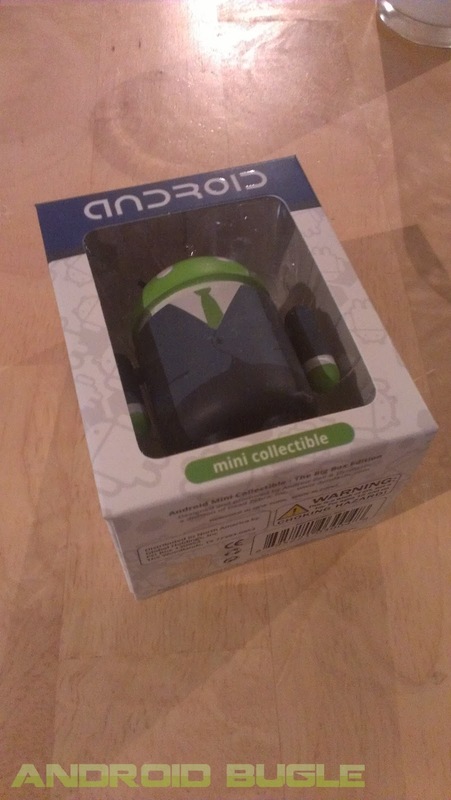 In stock ICS, one would need to drag each one by one in to the folder which is quite cumbersome. Another glaring difference is the way menu scrolling is handled. Now this might seem like a pretty mundane thing to change but to Android users it's actually pretty important since Apple holds the patent for a menu "over scrolling and exposing the background image" this meant Android manufacturers had to find creative ways to implement over scroll differently. For stock Ice Cream Sandwich this was done with a faint glow at the end of a list, while on Sense you get more of an accordion effect. While the looks at completely subjective we find the accordion effect slightly tackier but really isn't much of an issue. One of the last glaring differences is in the multitasking menu. 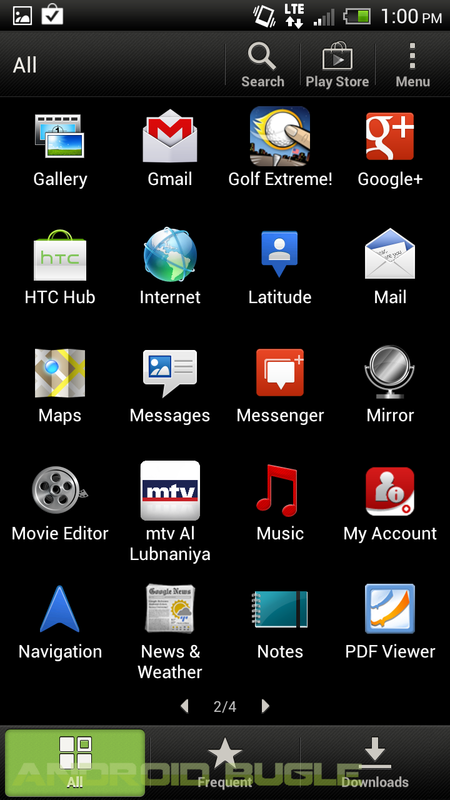 In Stock ICS, the apps are stacked vertically and are swiped away side to side. 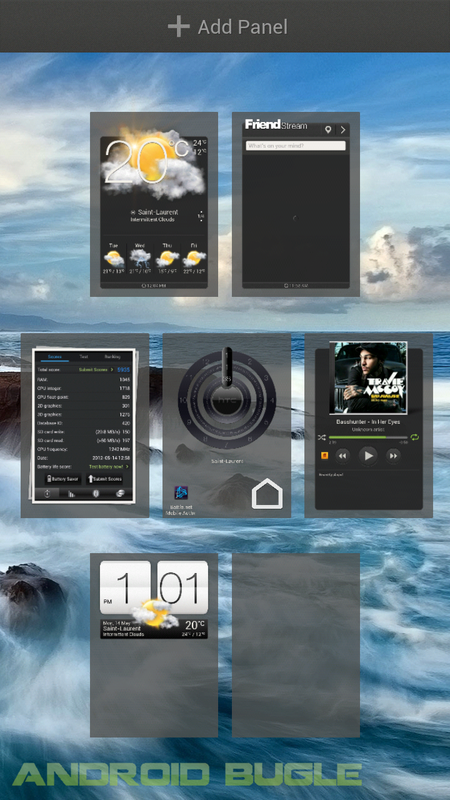 In Sense 4.0 this is done in opposite as apps are shown in a very webOS stylized "cards" view and are killed by swiping up. 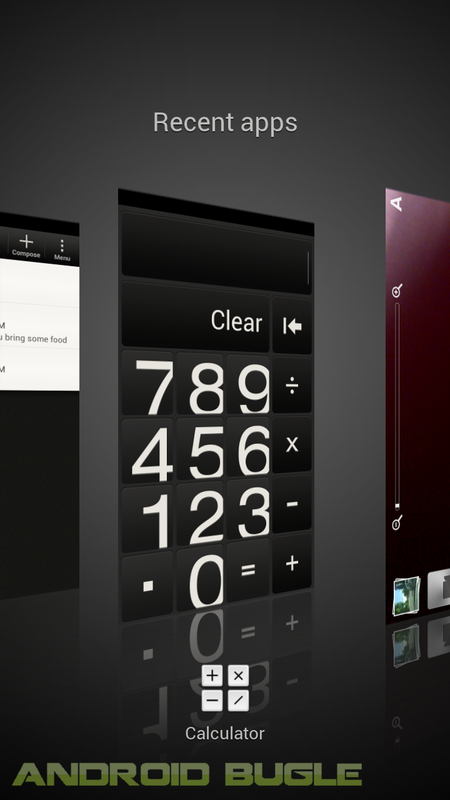 While some reviewers have called this clunkier than stock ICS, since you see less apps at a time, we have no problems as we feel when people will use the multitasking it will be with a specific app in mind to switch to. Also worth mentioning, Sense has been shown to be ultra aggressive at killing apps and this has bothered many enthusiasts and tech coverage has been fervent for the past few days. Again, like with the layout this isn't something we see average people complaining about. Beats is just one of those brand names that people know and indulge in even to the displeasure of enthusiasts that advise otherwise. HTC looks to bank on this brand identity with the HTC One series. Since I personally am not well versed in audio I'm pretty content with the improvement previous iterations of Beats Audio integration being available system wide rather than only HTC's Music player. Again as mentioned earlier in the Speaker section of the review, we liked Beats and how it sets HTC phone apart from the smartphone crowd. While the loss of the microSD card slot is definitely significant, we must applaud HTC for thinking out of the box and trying to fill that void with 25GB of Dropbox Cloud space. That being said we don't believe it's a perfect solution. For one, tier data plans in Canada prevent people from really taking advantage of 25GB worth of data. This is not to mention the fact having data on hand in some situation is not the same as having to retrieve it from the cloud. Still we have to admit the integration is nice and who could complain about free storage. Every once in a while there is a phone that transcends all expectations. The HTC One X is a phone that, in its entirety, blew us away in terms of a total phone experience. The One X excelled in almost every aspect we examined and pushes what we expected in smartphones. If you're on Rogers, and want the best phone on their next generation LTE network, the HTC One X is, without a shadow of a doubt, the phone for you. HTC is back in the game and in a huge way. They've set the bar for which every other smartphone will measure against for the rest of 2012. - Just about perfect execution. Slight deduction for the fact that the white version stains easily. 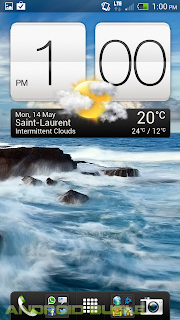 - The best screen on any smartphone period. - The phone is insanely fast in every way shape and form. Do not let the Dual Core label scare you as this phone is lightning fast. Great battery life. Period. The One X will satisfy most smartphone users. - Noise cancellation was excellent, sound from external speaker and earpiece were nice and clear. Beats integration was nice for the appropriate genres of music. - One of the major pillars of the HTC One X the camera is fantastic on the One X with its bevy of software features leave the Point and shoot at home. - Many have knocked on Sense 4.0, but we feel it is more visually approachable to non-tech users compared to the cold Tron-like theme of stock ICS. 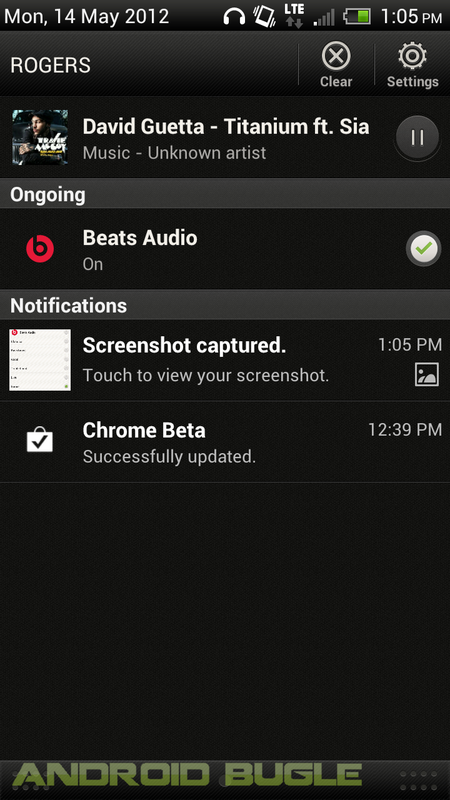 - Dropbox and Beats integration are nice additions that set the One X from the crowd. 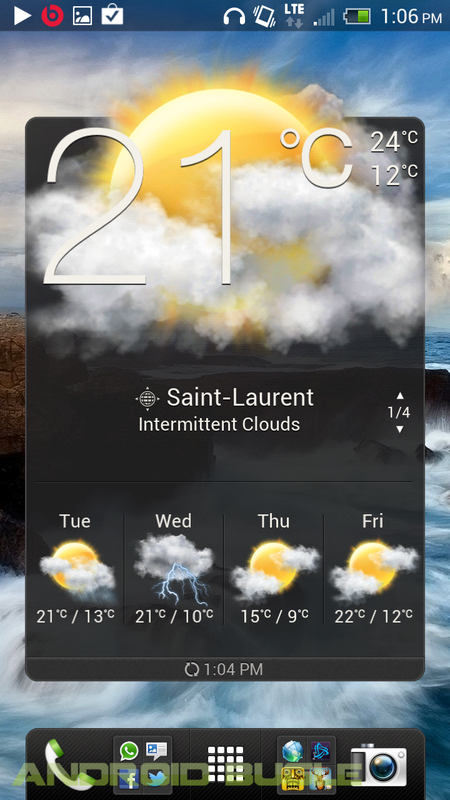 - Several Rogers apps pre-loaded but fortunately thanks to Ice Cream Sandwich can be "hidden" for a more clutter free app drawer.